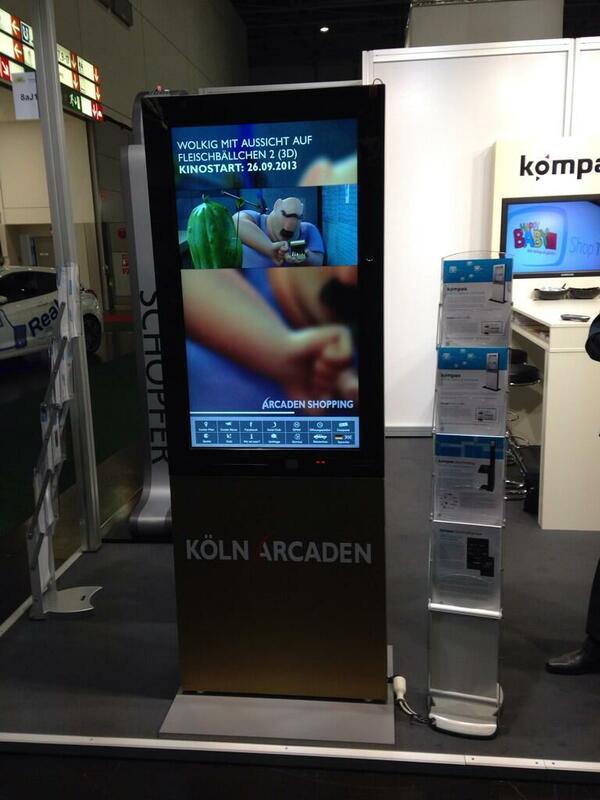 ISE 2014: dimedis loves high class interactive Digital Signage! On this years exhibition for the world’s best-attended tradeshow for the professional AV and electronic systems industry in Amsterdam ISE, dimedis presents countless news regarding Digital Signage and wayfinding systems. 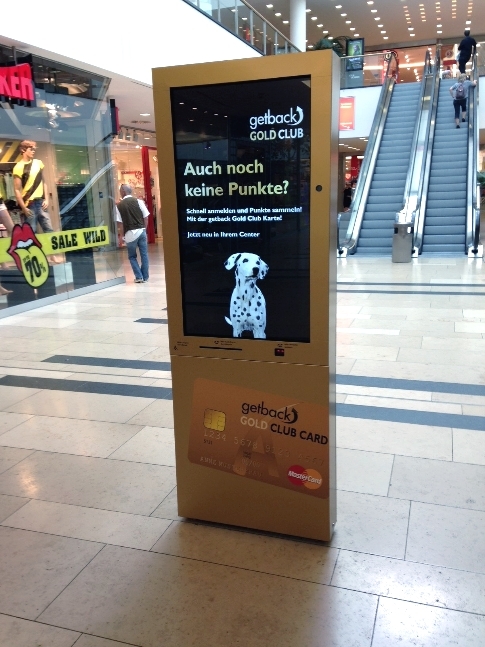 The primary spotlight falls on interactive coupon systems for shopping malls. 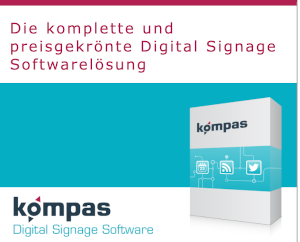 From the 4th to 6th of February 2014 dimedis shows the award-winning Digital Signage software kompas as well as the wayfinding system kompas wayfinding at our stand (hall 8, F180). 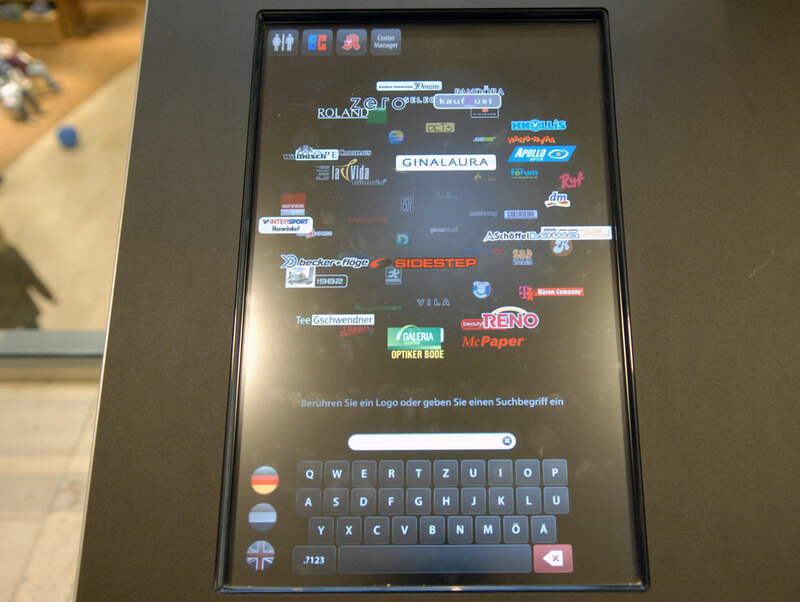 Steles from Arcaden-Shopping-Malls and other direct usage examples grant the visitors a realistic impression of the capabilities of the kompas Digital Signage software. 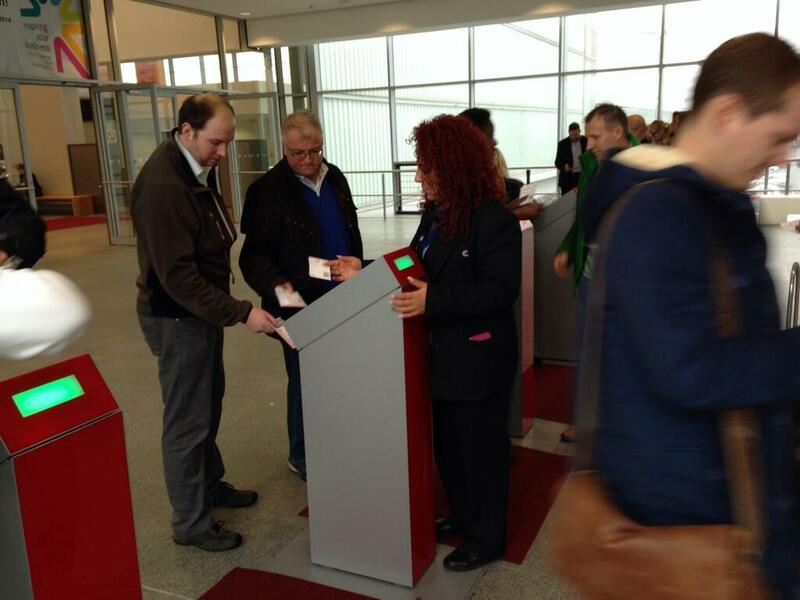 One stele is equipped with the iFeedback tool allowing to quickly gather visitor feedback with ease. Special coup: For the first time dimedis presents the latest version of its Digital Signage software kompas to the public. kompas 7.0 comes with an improved rights management and a new user interface design. 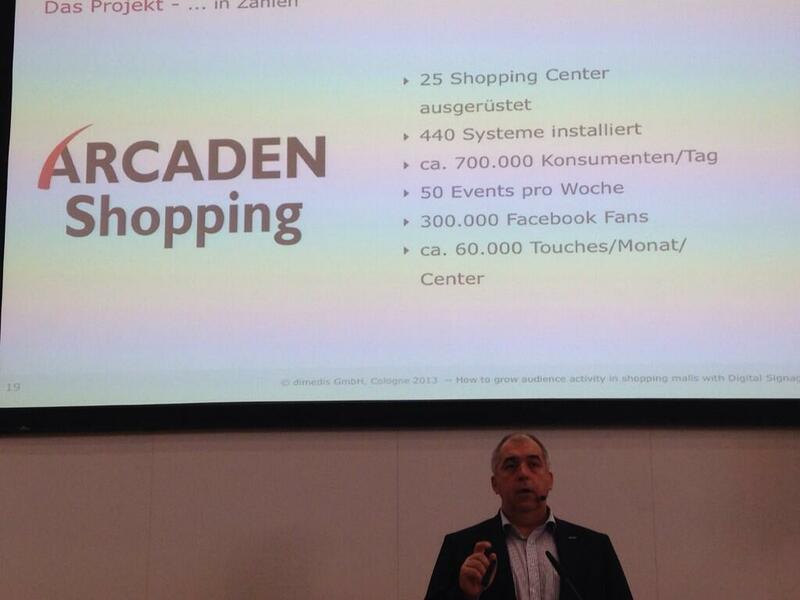 Germany’s great distributor of malls mfi management for real estates (Arcaden Shopping) uses Digital Signage in its malls throughout Germany to increase customer loyalty. For that mfi smartly links existing coupon systems with high quality steles equipped with big touch screen displays, a printer, card reader and camera. At the dimedis stand ISE visitors can learn how this system improves communication and connectivity with the customers in shopping malls. The interaction with visitors of shopping malls being the focus of the attention. 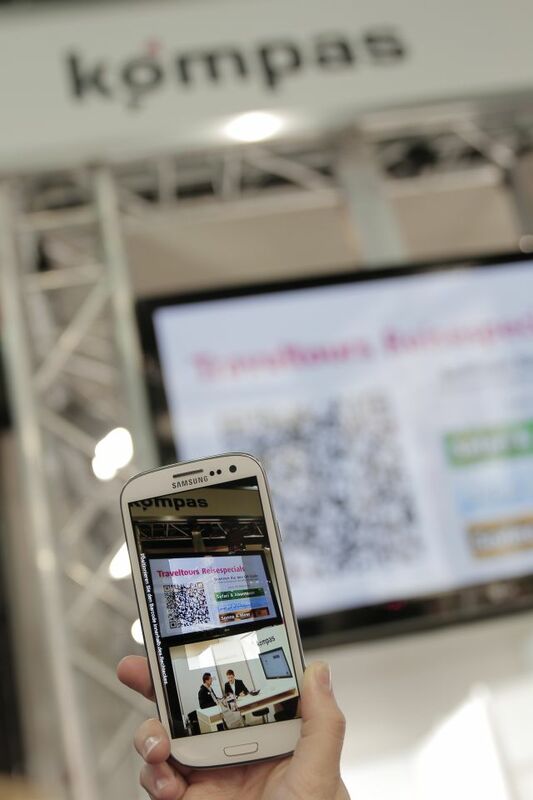 In the newest version kompas Digital Signage allows even more interaction: using the Smartphone as a remote. In front of a display window viewers can use the QR-Codes on the screen to directly control contents on the display. For example a car dealer can use the screen to display offers for various car offers from which the viewer can pick. 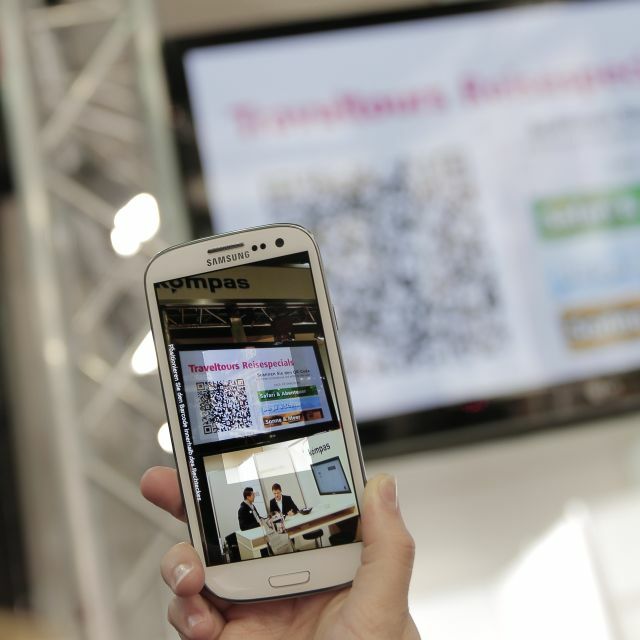 The QR-Code opens a mobile website with a simple menu which the viewers can use to pick the topics that interest them. The Digital Signage display then concentrates on showing the relevant contents. Classical Digital Signage aside on one of the steles dimedis also presents the wayfinding system kompas wayfinding. ISE visitors can try out a wayfinding solution for exhibitions and malls at the dimedis stand. Special about it is the LogoCloud, which dimedis specifically designed for kompas wayfinding, LogoCloud displays the logos of all available shops in the mall as a big, slowly rotating Cloud. Visitors can touch the desire logo causing the rest of the cloud to disappear and the shortest path to the shop to be displayed as animated line. Every kompas wayfinding terminal calculates the path dynamically based on its own position and orientation; that way the separate terminals can be placed at any position in the mall or exhibition at any time. 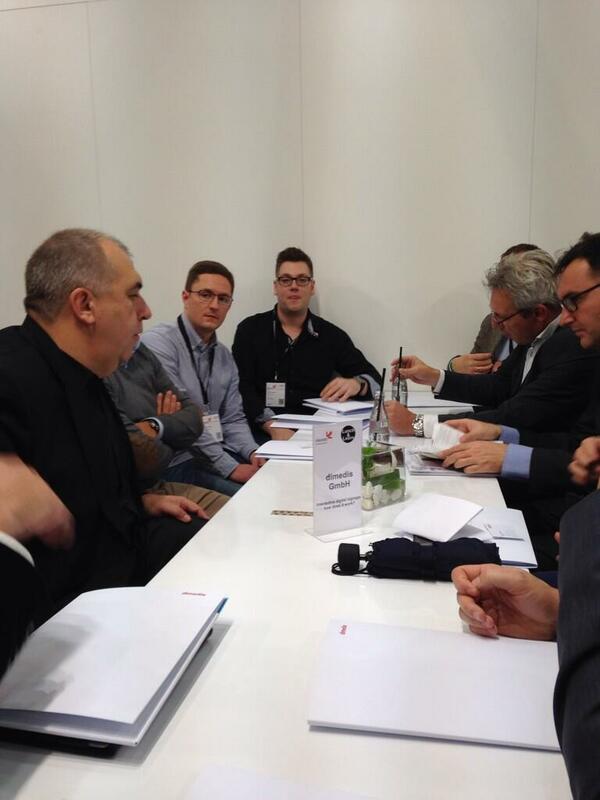 One stele at the dimedis stand is going to present the iFeedback software of the company BHM Media Solutions GmbH. Using that, visitors can give feedback quickly and with ease, for example on how they rate the dimedis stand or the exhibition as a whole. That is accomplished by the software asking simple questions which the viewer answers by giving specific amounts of stars like on rating platforms or Amazon. Dieser Beitrag wurde am 20. 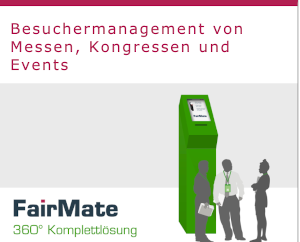 Januar 2014 von IboMazari in Allgemein, Digital Signage, dimedis, English, kompas veröffentlicht. Schlagworte: Amsterdam, Digital Signage, iFeedback, ISE, kompas, kompas wayfinding, Marketing, RAI Amsterdam, shopping mall.